North Carolina has an ideal climate for growing flowers in the spring and summer. Annual flowers, or those that die off after the first frost, and perennial plants, or those that come back every season, can be planted in early spring and throughout the summer and fall. Planting a flower garden can be a simple and rewarding task when the gardener is armed with the right tools and information. 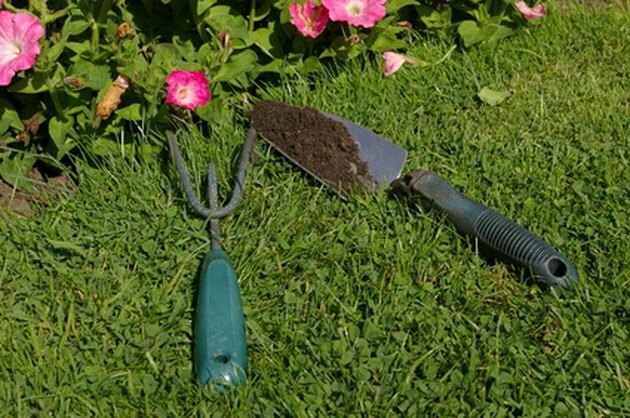 A garden trowel and cultivator are essential tools for the flower gardener. Choose a location for your garden. Depending on available space, a flower garden can consist of various sizes of containers placed on a patio or into plot of land. Whatever the location, full-sun plants will need at least six hours of sunlight per day, and partial-sun plants need two to four hours of sunlight. When buying seeds and plants, the package will indicate the amount of sun needed. Prepare the soil by filling containers with potting soil, or loosening the ground soil with a hoe and bow rake to prepare the land for planting. Remove any weeds. If there has never been a garden in this location, consider adding fertilizer or humus to improve the soil. Decide when to begin planting, and if you will use seeds or nursery plants. Depending on your location, the last spring frost for North Carolina is anytime from the beginning of April to May. Locations in western North Carolina will have a final frost closer to mid-May, while locations in the eastern and southern parts of the state will see a last frost at the end of March to the beginning of April. Seeds and plants can be planted outside after the last frost. Marigolds are annual plants that must be planted every season. Choose your flowers. Seeds are an inexpensive alternative to buying mature flowers from a nursery. However, mature plants from a nursery don't require any waiting time for a beautiful garden. Because of North Carolina's climate, most annuals and perennial plants will do well. 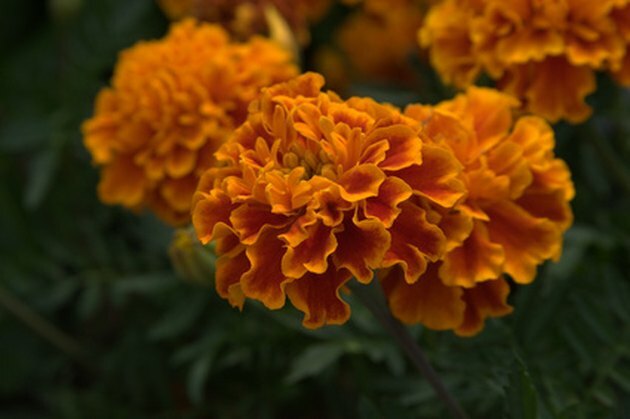 Annuals such as marigolds, zinnias and petunias are low maintenance. Perennials, such as the black-eyed Susan, iris and daylily, will come back every season. Plant your flowers soon after North Carolina's last frost. Press small seeds directly into the soil, and place larger seeds in shallow trenches. Water after planting. To plant mature flowers, dig a hole the length and width of the pot that the flower came in. 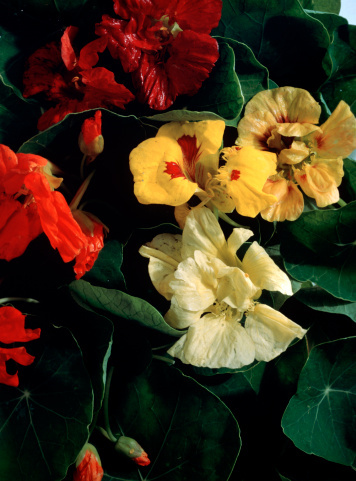 Remove flower from its container by squeezing the bottom and gently tugging out the plant. Loosen the roots, and place in the hole. Cover with soil, and then mulch. Water every few days when the soil is no longer moist.